Do-it-yourself is all the rage these days, and with handwritten signs, beautifully assembled holiday wreaths, and wine-infused paintings, it can also be a lot of fun. When it comes to DIY window treatments, though, it’s a different story. While professionally designed and installed window treatments might make the process look easy, putting together stylish window treatments on your own is far more daunting. Here are 7 reasons to avoid the DIY route for window treatments. Store-bought window coverings aren’t built to last. While the price tag can make off-the-shelf window treatments seem attractive, in reality, they simply aren’t built for longevity. Custom-designed, high-quality window treatments are complete with liners to protect from sun and weather damage, and they’re made with fabrics that can handle the humidity and heat of the eastern North Carolina coast — unlike those off the rack. The options are endless. You’ve got your Pinterest and Architectural Digest clippings ready. Then you enter the window treatments aisle. There are countless options for blinds, shades, and shutters — and for draperies, you can’t even begin to work through the fabric options, let alone all of the trim and detailing options! You know what color scheme you want, but there are far too many shades to choose from. And how can you be sure they truly match your living room? Then there’s the hardware — rods, rings, mounting tools, and more. Feeling overwhelmed yet? When it comes to window treatments, there are endless options for customization. With the help of a professional designer, you can quickly narrow down exactly what you want — without the headache of trying to become an expert on your own. Professional designers have access to far more materials, resources, and budgeting. When you choose DIY window treatments, you lose access to the design tools, materials, hardware, and customization options professional designers have right at their fingertips, in one place. You also lose access to their ability to quickly budget your entire project – so you know exactly how much you’re spending from the start and can stick to it. The professionals know what you need before you do. Window treatments are built-in home solutions. They insulate homes, provide light filtering and privacy, and even reduce your energy bills. Are your window treatments pet-friendly? Baby-friendly? Professional designers can help explain what your window treatments can do for you, and then make sure you choose the best option for your needs. Measurements. Beyond the complicated fabric measurements for draperies, which must be 100% precise, there are mounting and installation measurements to consider, too. Curved windows are beautiful, until you have to measure the fabric for the valance. For oddly-shaped windows or windows that look the same size but turn out not to be, professional designers and installers are must-haves. Redoing it is expensive. DIY is an attractive option if it saves you money and turns out beautifully. But if you complete your DIY window treatments project and you aren’t satisfied, or if you snap a curtain rod along the way, a redo can prove expensive. Expertise matters. The professional window treatment designers and installers at Strickland’s Blinds, Shades & Shutters have decades of experience and training. With their creativity and professional touch, your vision can truly come to life, without the risks of DIY-ing it. 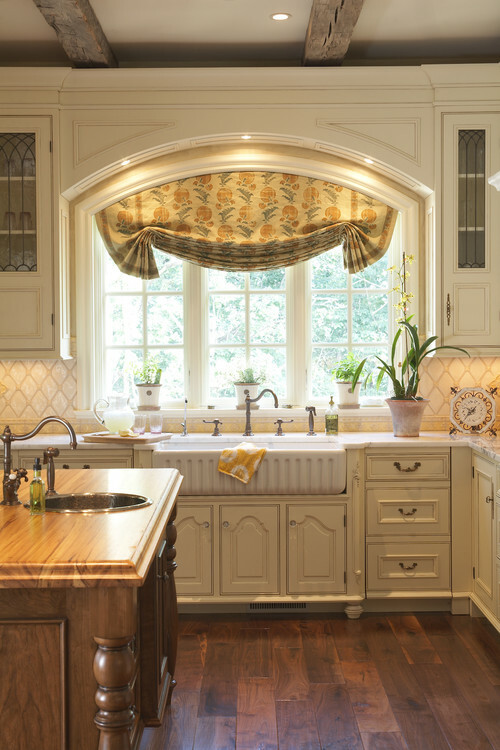 Ready to get started custom-designing your dream window treatments? Contact us for a free on-site consultation, or come by our showroom to peruse our offerings.